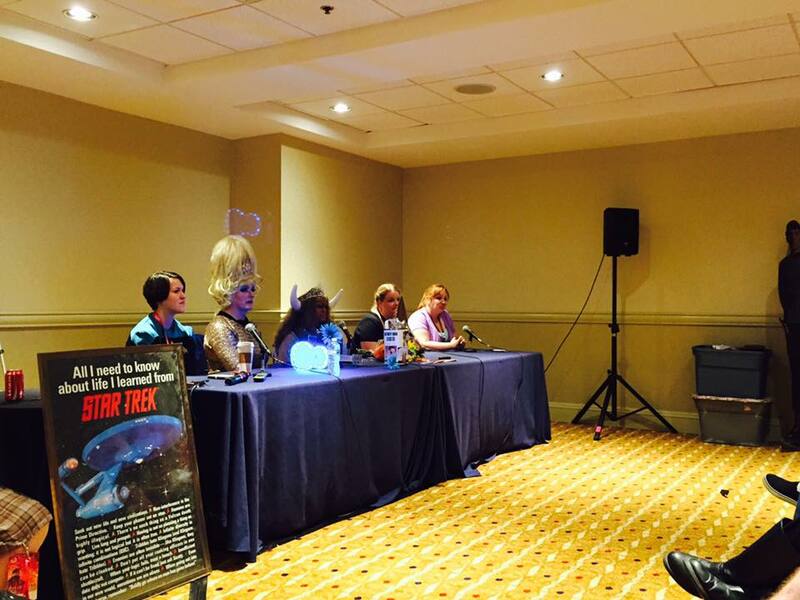 At Dragon Con 2015, Andi and Sue were joined by Trek Track staffer Carol Underwood, Chief Xenocosmetology Officer Moxie Magnus, and Miss Star Trek Universe Pageant Winner Hannah Hoyt for an audience-guided discussion of the women and portrayals of women in the Star Trek Universe. 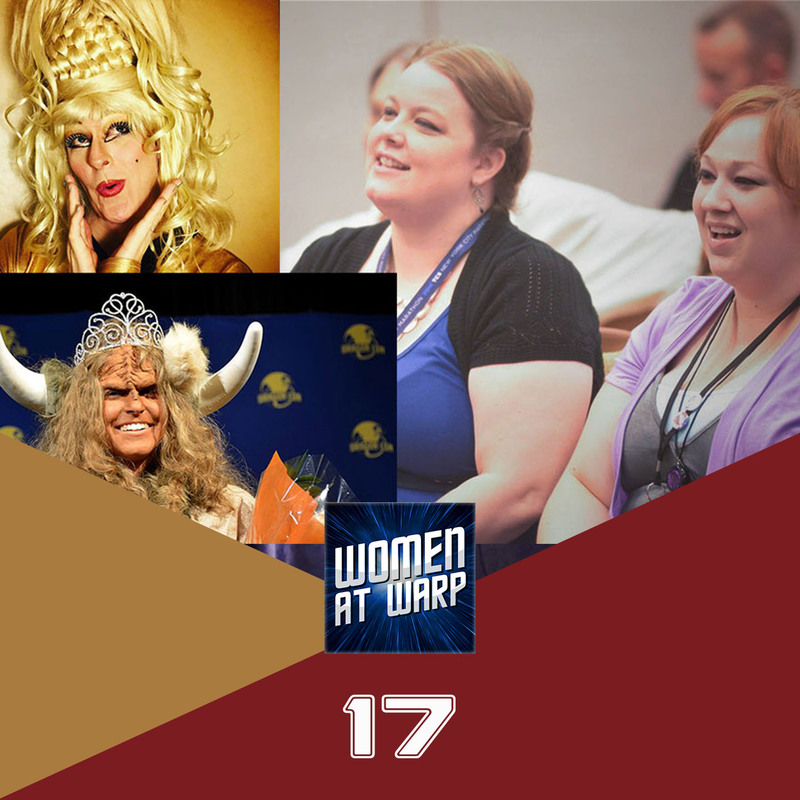 Photo of Andi and Sue at the Parsec Awards, which we used in the show art, is by Kyle Nishioka. 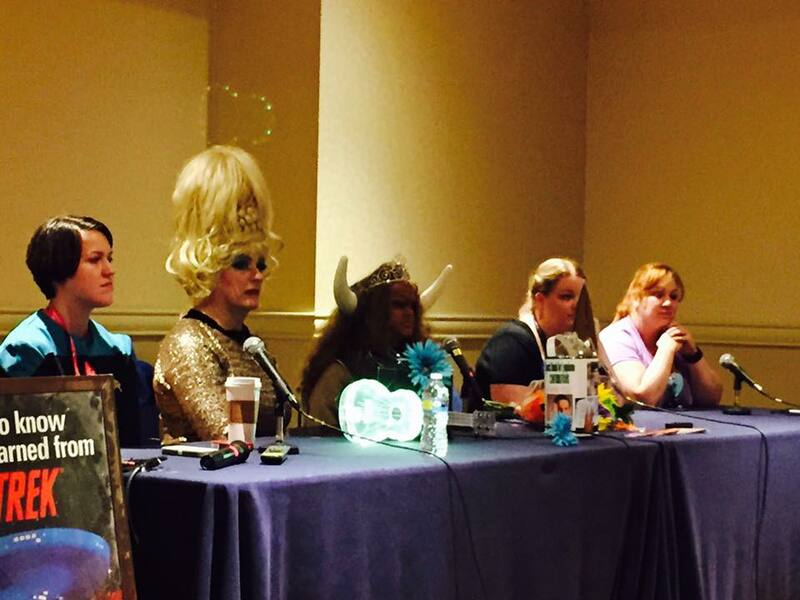 More Panel Photos, with thanks to Christine!